Freshpints.com: Reuben's Brews 4th Anniversary Party - This Saturday! 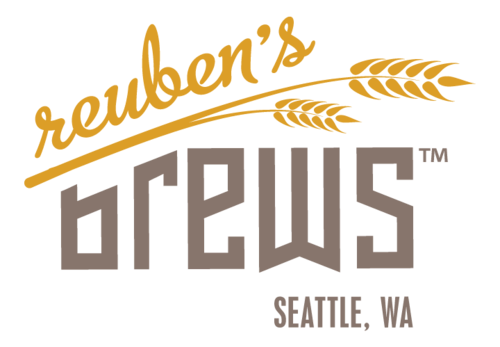 Reuben's Brews 4th Anniversary Party - This Saturday! 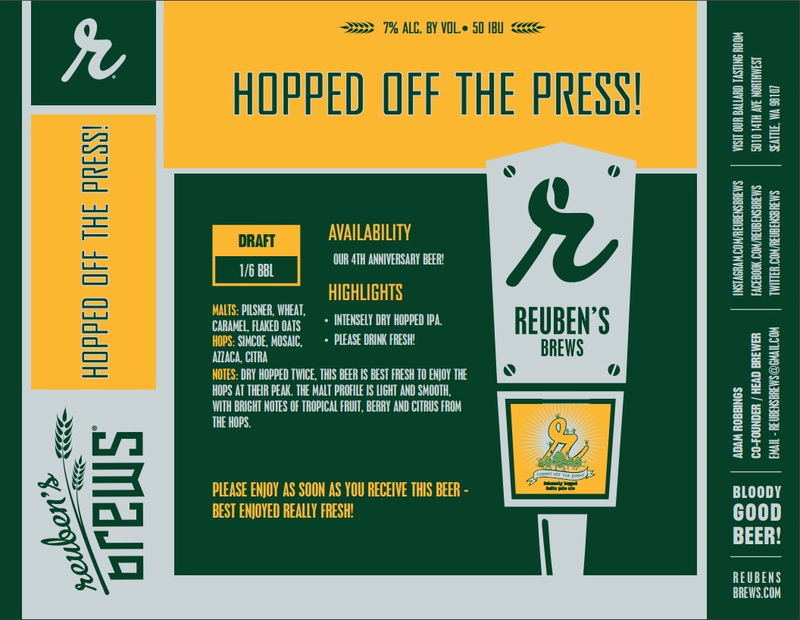 We will release a brand new IPA, Hopped off of the Press! Named after the intense dry hopping on the beer - this beer is best enjoyed fresh. The beer sheet explaining the beer is attached. The beer will make it out to limited distribution next week to our keg customers. 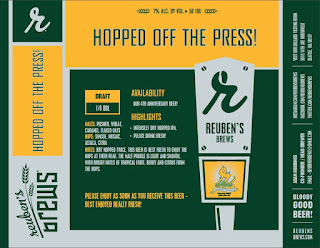 We will have 6 pack cans of Hopped off of the Press! available. We will can only a small batch which will be available for taproom purchase only. We will pour some of our barrel aged beers, including 2015 BBIS, 2015 Breakfast Stout and a sneak preview of 2016 Bourbon Barrel Auld Heritage (our old ale) that will be released later this winter! We will have a raffle with lots of great prizes, including limited release growlers and Mariners tickets! Thanks for all your support these first four years, and cheers to many more!